I'd only read a few pages of Howard Rheingold's "Attention! Why and How to Control your Mind's Most Powerful Instrument" when my mind started to wander. I wonder if this will help my writing. This font is too small; I’ll magnify it. How many pages in this chapter again? I wonder if Lauren’s texted me back yet. It only took a few more thoughts for me to catch myself and laugh. There I was, reading a chapter about the importance of paying attention, and not paying attention. But how could I? As Brave New World author Aldous Huxley states, man has an “almost infinite appetite for distractions.” And in today's world of information overload, there's an all-you-can-eat distraction buffet. I'm not a multi-tasker. I work best focused on one task with minimal distractions; but in our world of information overload, minimal distractions still take a heavy toll. My phone may be in the next room, but I can still easily hear the buzz of a text message or email, which can prompt a series of errant thoughts. Ok, so let’s say I turn it off. Now I’m thinking about missing an important call, having to explain later that I didn’t have my phone on. Didn’t have your phone on? They scoff. Everyone always has their phone on. Even turned off, the sheer existence of my phone pulls at my attention; and the attention-drain worsens when one considers the other multiple avenues of communication. We expect each other to be available every waking moment and frankly, it’s exhausting. I feel as if technology is a toddler tugging on my skirt, shouting “Mom! Mom! Look at me! Now! Mom! Mom? Hello?” Yet when I finally look down at little Technology, I feel a wave of affection. Without social media, connecting with readers and other writers would be much more difficult. Widespread use of the internet, social media, and texting has facilitated ease of information, connection, and communication across long distances. However, as a society we need to begin practicing mindfulness to function offline as well as on. Moms need a break, too. *I previously published a version of this post for a college course. Great post! 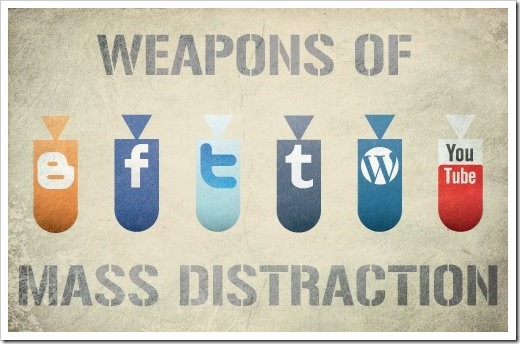 I'm definitely guilty of getting distracted by my phone.